Is Leonardo DiCaprio awake or asleep at the end of Inception? It's been a hot topic ever since he walked away from the wobbling, but not fully fallen, spinning top. Of course, the correct answer is that it doesn't matter - Dom chooses this level as his reality, whether it's actually the real world or not is of no interest to him as long as he gets to be with his family. This is so important that Christopher Nolan even broke his typical silence on finished projects to confirm this reading. But while knowing the thematic solution is nice, it doesn't deal with the plain logic of it all. And Nolan did sneak in an answer in there. In a fan theory that is so watertight it might as well be taken as gospel, it's said that the spinning top isn't Cobb's totem at all (that was his crazy ex-wife Mal's) - it's his wedding ring, a symbol of how he's still attached to Mal in the dream-world. He wears it in every dream, while in all of the real world sequences, including the ending, he's not. So there you have it - Cobb was awake. That's not all though - there's another, even less prolific clue to the nature of the film's ending. 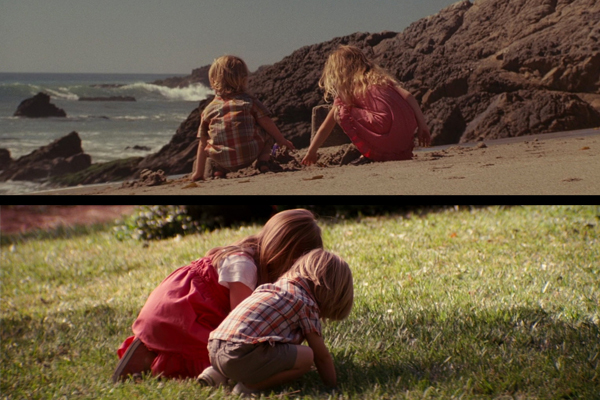 Cobb's kids, who he refuses to look at throughout the film, are played by two different sets of actors - a younger pair in the dreams (where they're bled-through memories) and a couple a few years older (and wearing slightly different clothes) for the final scene, signifying we're in a level where a few years have passed; the real world.